The beauty brand Embryolisse has marketed various beauty products that are recommended by make-up artists and dermatologists. The Embryolisse brand has gained general recognition as a brand that manufactures good quality, healthy products at a competitive price. The French brand therefore greatly values the use of natural organic ingredients. 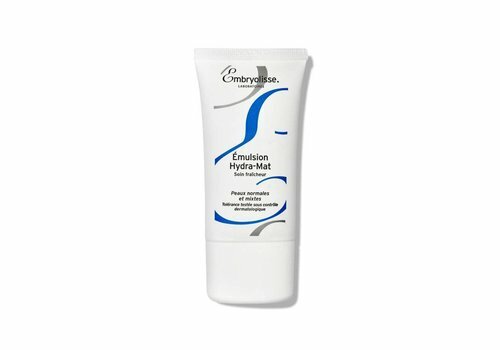 A particularly famous product of this famous brand is the Embryolisse - Lait Creme Concentre. This soothing and hydrating cream for any skin type is regarded as a true beauty secret and is available in two different versions. This Embryolisse cream is therefore available in packaging of 30 or 75 ml. If you heard good things about the beauty products of Embryolisse and want to experience their excellent quality yourself, just discover the Embryolisse products for yourself in the Boozyshop! Are you interested in ordering one or more Embryolisse product? Then you will find that Boozyshop provides a perfect opportunity to do so. We have selected a beautiful selection of the valued product of this brand and offer this at an attractive price. In other words, if you are searching truly excellent care products manufactured by a reliable brand and available at an interesting price, you can rest assured that the Embryolisse products offered in the Boozyshop offers you exactly this opportunity. If you have decided to use Embryolisse cream, it is always interesting to know exactly how to use it. Using a cream like this is not difficult. First of all, we recommend applying the Embryolisse cream every morning and/or evening. You must of course always apply the cream on a clean and dry skin. Massage the cream softly and allow the cream to be absorbed. You can also use Lait-Crème Concentré to clean the skin or to remove make-up. And finally this versatile beauty product can also be used as a repair mask, aftershave cream or baby lotion. This versatile characteristic of the Embryolisse cream immediately ensures that you can count on interesting benefits for a competitive price! The excellent quality and reliability the Embryolisse beauty products have are perfectly suited for a very large target group. The products of Embryolisse are therefore not only frequently used by make-up artists, but also by dermatologists and self-confident women. Naturally all the Embryolisse products are dermatological tested. These are very safe products that always focus on providing an excellent end result every time; products that women will want to use. The excellent quality of Embryolisse products means that many women considering their purchase need not worry about high purchase prices. On the contrary, Embryolisse wants as many women as possible to be able to experience this unique and reliable effect of its products. This means that the cost price of the various Embryolisse products is kept as limited as possible, so you can purchase an Embryolisse product, even on a tight budget. 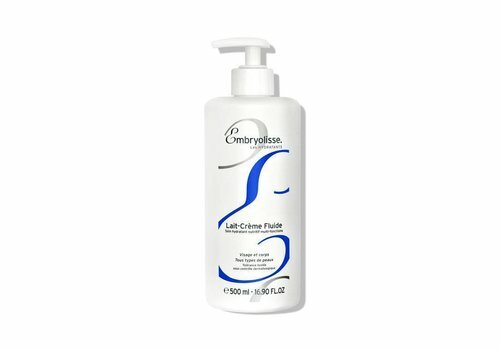 Purchase your Embryolisse product in the Boozyshop! Has this information managed to convince you to purchase one or more Embryolisse products? If so, you will notice that the Boozyshop offers a good range of Embryolisse products at very competitive prices. Placing an order with Boozyshop also involves a number additional benefits, for example a great and free gift with any order exceeding 30 euro. This means that your purchase of Embryolisse products in the Boozyshop is always extremely interesting.